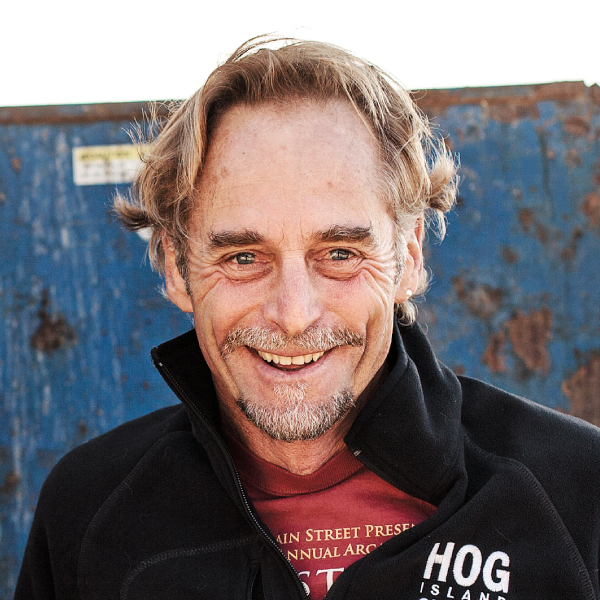 CO-FOUNDER & CEO OF HOG ISLAND CO.
After earning his B.S. in Marine Biology at Southampton College on Long Island, NY, John headed west for a few years. After working at an oyster operation in Moss Landing for three years, he decided to start his own oyster farm, Hog Island Oyster Company in 1983, in Tomales Bay, Marin County. The farm started with just five acres, and now totals 160 acres, producing over 3 million oysters and 50,000 pounds of clams a year. The company recently started an oyster and clam seed operation in Humboldt Bay, and is in the process of securing leases to farm market sized oysters. In 2003, Hog Island opened an oyster bar in the Ferry Building in San Francisco which recently expanded, and in 2008, opened a second oyster bar in the Oxbow Public Market in Napa. Today, the company employs over 200 people. Finger is a long time board member of the Pacific Coast Shellfish Growers Association representing shellfish farmers from California, Oregon, Washington, Alaska, and Hawaii. He is a past board member of the Environmental Action Committee of West Marin, and a founding member of the Tomales Bay Watershed Council. When Finger gets any time off, he is on or in the water – fishing or surfing. Takenaka has over 40 years of professional experience in the Hawaii fishing and seafood industries. Between 1976 and 1979, he was the Fisheries and Aquaculture Specialist for the Sea Grant Fisheries Advisory Agent on the island of Maui. He has been employed at the Honolulu Fish Auction which is operated by the United Fishing Agency, since 1979 as the Assistant General Manager and currently serving as its General Manager. 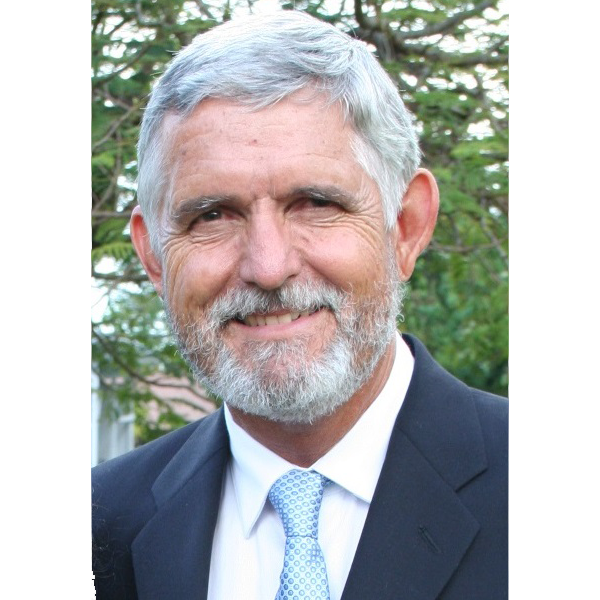 In this position over the years, he has been active in training of fishermen and processors on proper fish handling for quality and seafood safety, and in the development and implementation of the company’s seafood HACCP Program. The fish auction plays a pivotal industry role in fishery operations and seafood safety that affect its clients (fishermen) and its customers (seafood buyers and consumers). 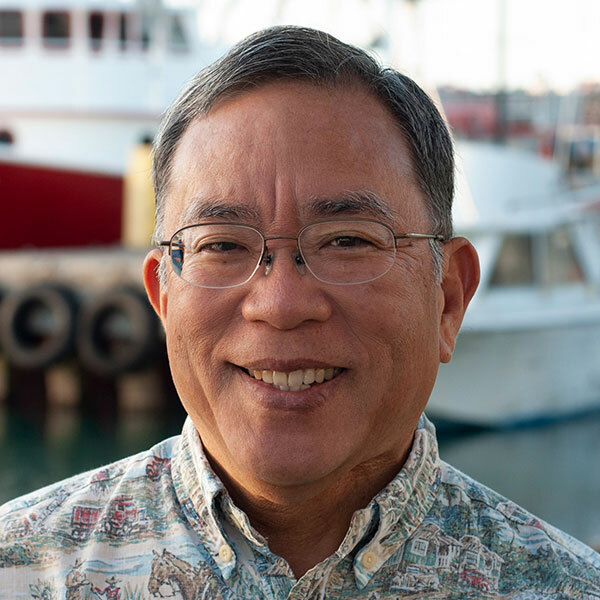 Takenaka continues to play a special role in assisting the industry in seafood safety compliance, fishery access, environmental impacts of the fishery and research agenda. He assisted in the design of the state-of-the-art auction facility at the “Fishing Village” on Pier 38 in Honolulu Harbor completed in August 2004. He is also engaged in efforts to create a new strategy for supporting the industry through the branding of Hawaii seafood to address today’s concerns about the sustainability of fishing and the safety of seafood. He is currently serving as an outreach and education consultant for the Hawaii Seafood Council. He has helped to develop and conduct a seafood and fishing industry outreach program for the public, educators, scientists, chefs, food writers and others visiting the Honolulu Fishing Village and Fish Auction. This venue offers an excellent outreach and education opportunity to help the public better understand, differentiate and appreciate Hawaii seafood products based on the exemplary fishery management system, how the fishing industry operates, how it measures up to an international set of criteria for responsible fisheries and what measures are taken to ensure the safety and quality of Hawaii Seafood products. Tamashiro has been the fish buyer for Tamashiro Market for over 40 years, Honolulu’s iconic family-run seafood market. Tamashiro is up early in the morning hours to buy fresh local fish at the Honolulu Fish Auction to provide a variety of finest local seafood for loyal customers who know their fish quality and value. The new year in Hawaii isn’t complete without a newspaper interview of Tamashiro and his yearly predictions of the availability of sashimi for the holiday festivities. Weidenbach is a fishery biologist, earning his degree from the University of Michigan, Ann Arbor, and a former researcher with the University of Miami, University of Michigan, and the East West Center in Honolulu. He has worked as an aquaculture consultant for the World Bank, foreign governments, and private companies. Weidenbach originally came to Hawaii at the request of the State to help develop the giant freshwater prawn industry in the 1970s. He feels strongly about the opportunities for Hawaii’s agricultural future and has devoted his time, legislatively and otherwise, proposing and testifying on bills and working on issues that would help the local farmer, and promote environmentally responsible aquaculture practices. Weidenbach serves on numerous organizations supporting aquaculture, farm production, and research, but he is first and foremost, a hard-working small farmer. 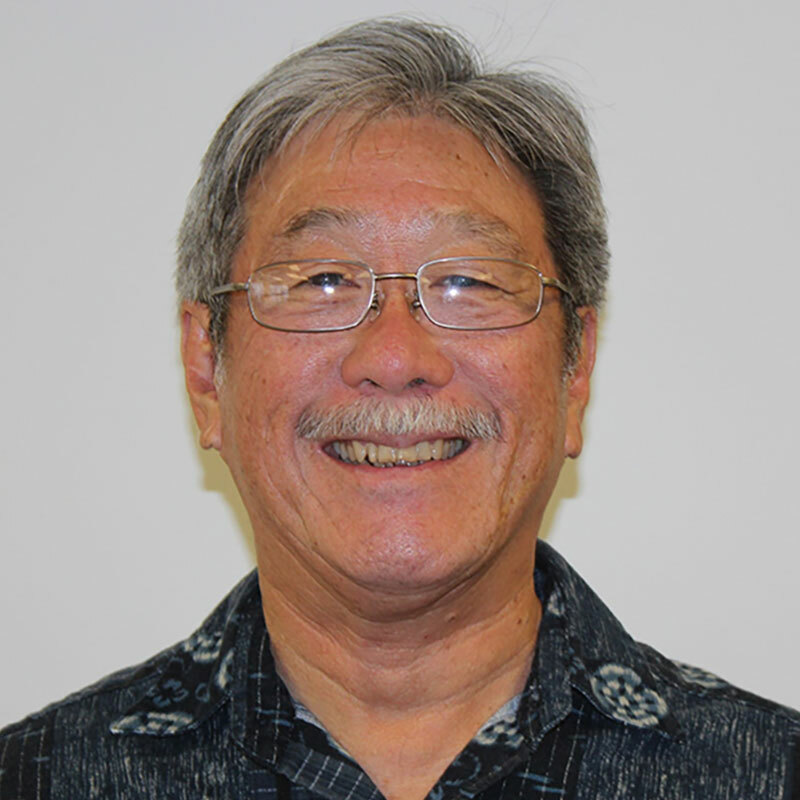 Dr. Kaneko has worked in the Hawaii fishing and seafood industry since 1988. 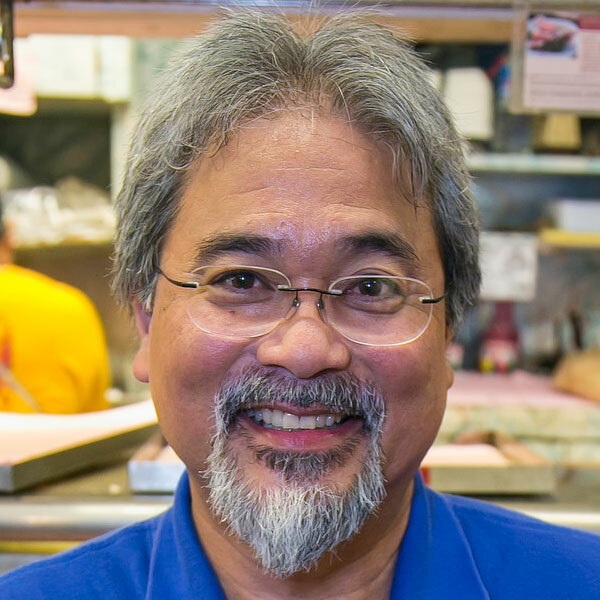 Today, he runs the Hawaii Seafood Council (HSC), a non-profit organization dedicated to supporting the seafood produced by Hawaii’s responsible fisheries. HSC does this through research, outreach, education, and training on seafood quality, health benefits, seafood safety, and sustainability. For nearly six years, Lukela served as a research lab supervisor at the Hawai Center for AIDS with the University of Hawaii’s John A. Burns School of Medicine. That’s when he decided it was time to begin experimenting with the idea of another career path. Lukela enrolled at the Kapiolani Community College’s (KCC) Culinary Arts Program in 2010, and while there, began as a cook’s helper at the Sheraton Waikiki in July of 2010. He never looked back after that. After receiving his culinary arts degree from KCC, Lukela began working in the pantry at Nobu Restaurant – moving up through all the stations, and learning as much as he could. After a year and a half at Nobu, he was offered to open Vintage Cafe with former chef Chris Kajioka. Lukela started working in the hot appetizer station, until he was offered the executive sous chef position after only six months. He describes his experience at the exclusive, private dining restaurant as “transformative,” and one that helped shape him into the chef he is today. 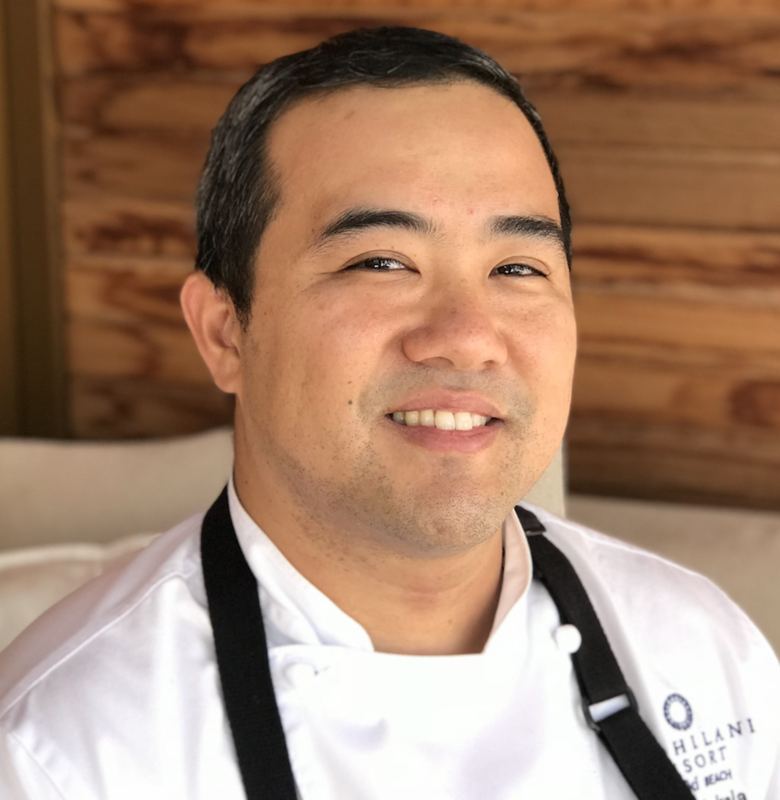 In 2014, Lukela was named sous chef at the Moana Surfrider, A Westin Resort & Spa, after having been at the Vintage Cave restaurant in Honolulu since 2012. 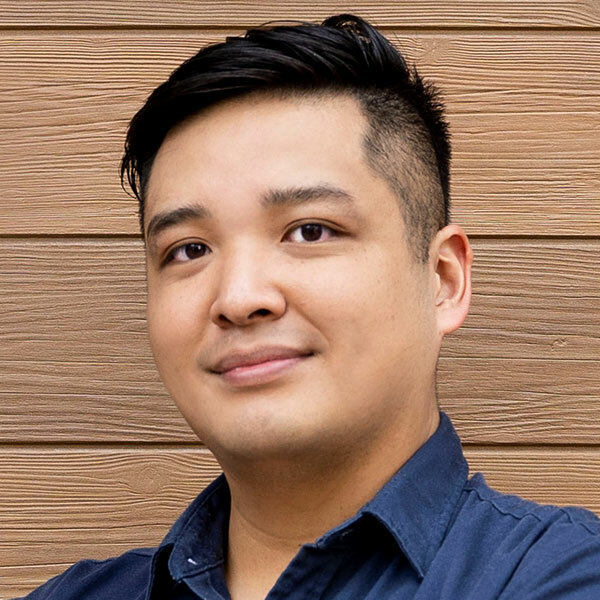 In addition to his culinary degree from KCC, Lukela holds a Bachelor of Arts degree in biochemistry, with a minor in economics, from Occidental College in Los Angeles. He is a graduate of Kamehameha Schools in Honolulu. Goetz grew up in the Oregon. His grandfather was a farmer and rancher, thus his love respect for ingredients started at an early age. At 17, Goetz spent a year in Spain and fell in love with cooking. In college, he studied Biochemistry and Genetics, but science was not as creative as cooking. When he graduated, he moved to Kauai and worked at the Grand Hyatt in Poipu. After that, wanting more life experience, Goetz moved to Thailand for a year to study cooking and ingredients. Goetz returned to the states with a new view on cooking and training. He attended a twoyear culinary program at New England Culinary Institute in Vermont. After graduating, he won a scholarship from the James Beard Society and moved to Italy to study Italian language and charcuterie. Goetz’s training continued in New York City, where he worked with French chef, Danielle Boulud. He worked at several top restaurants in Manhattan and becoming the sous chef at Tocqueville, a Japanese inspired French restaurant. Accepting another challenge, he moved to Beijing China to open a new fine dining restaurant for Hilton Beijing. The restaurant won several awards and accolades including best restaurant. 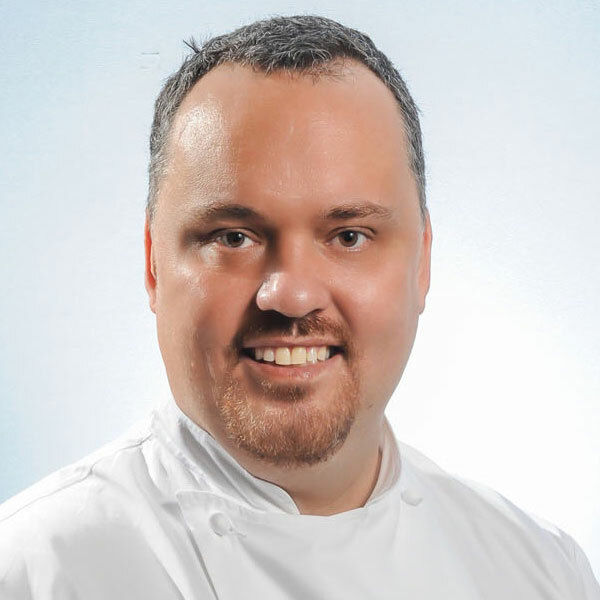 Following his time in mainland China, he moved to Hong Kong where he was the Executive Chef for the prestigious American Club. He spent ten years developing a world class culinary department, learning kitchen design, and a continuing to explore Cantonese Cuisine. He met his wife in Hong Kong and they moved to Honolulu, where Josh was invited to join the team at 53 By the Sea. Since Spring of 2018, Josh has been leaning about Hawaii’s rich culinary history and developing a new menu for one of Honolulu’s best fine dining restaurants. Born and raised in Honolulu, Hawaii, Karr-Ueoka graduated from Punahou School and went on obtain a degree in Travel Industry Management the University of Hawaii. While in the program, Karr-Ueoka’ passion for cooking was ignited after an externship at Alan Wong’s Honolulu. Pursuing her dream, Karr-Ueoka furthered her training at The Culinary Institute of America in Hyde Park, New York, during which she completed a stage at Daniel, and an externship at The French Laundry. She rejoined Alan Wong’s where she spent six years on the savory side. 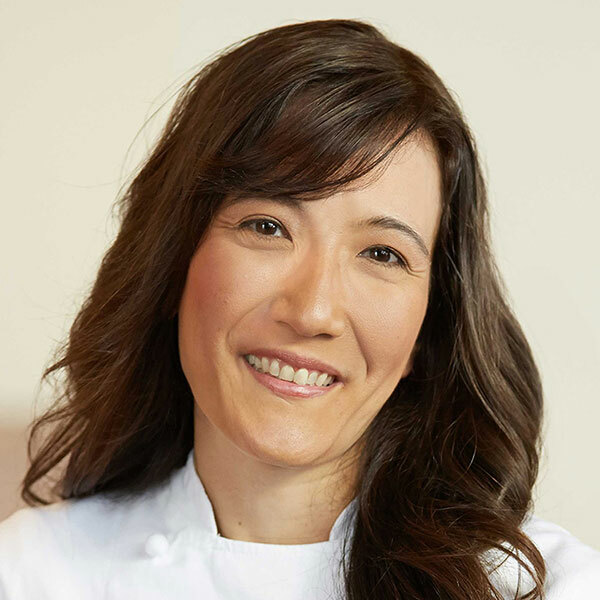 Moving again ack to New York, she staged at Thomas Keller’s Per Se where she switched her culinary track from savory to pastry to become a successful pastry chef in Hawaii. In 2012, as a pastry chef, Karr-Ueoka received the Rising Star Chef Award from StarChefs.com. After working for highly lauded restaurants from New York to Honolulu, Karr-Ueoka and her husband chef Wade Ueoka opened their first joint venture, MW Restaurant in October 2013. In February 2014, the James Beard Foundation nominated MW Restaurant for “Best New Restaurant”; additionally Karr-Ueoka was also nominated for a James Beard award for “Outstanding Pastry Chef”. Jake Saito was born and raised in Aiea, Hawaii. Throughout high school, Saito worked weekends and summers in local eateries where he developed his passion for the culinary world. Saito then went to work for Breaking Bread Hospitality at Livestock Tavern, where his foundations were firmly rooted. After a couple of years in Honolulu’s Chinatown Art District, Saito made a move to the Kahala Hotel & Resort to work under Daisuke Hamamoto at Arancino’s. In 2016, Saito joined MINA Group to open up the group’s first Hawaii property, STRIPSTEAK Waikiki. In the next years, Saito hustled his way up through the ranks from Cook to Executive Sous Chef. Under the mentorship of Chef Michael Mina, Saito has expanded his culinary repertoire, spearheaded the catering department, and represented the company in the local community. Bao Tran was born in Los Angeles, California and grew up on the east coast in Fairfax, Virginia. Tran attended The Culinary Institute of America in Hyde Park, NY. 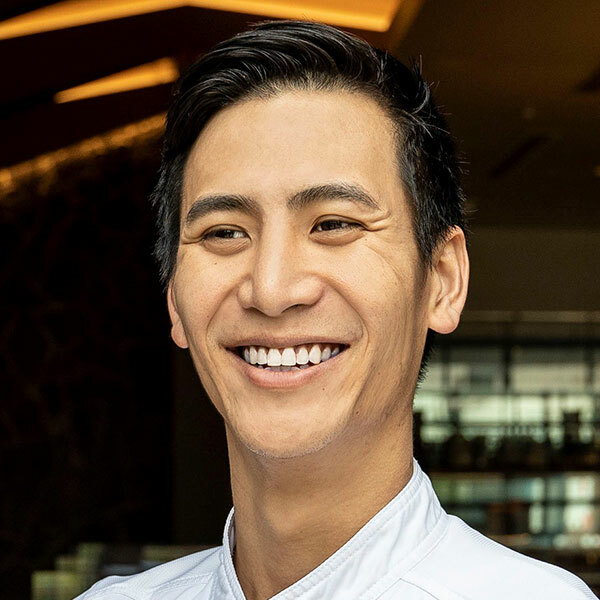 Following his graduation, Tran moved to New York City and began to work under the city’s most prestigious chefs including David Chang at Momofuku Group, Daniel Humm at The NoMad, and Andrew Carmellini at Locanda Verde. In 2013, Tran then went on to open Mario Carbone’s eponymous restaurant on Thompson Street. During Tran’s tenure, Carbone received three stars from The New York Times in an article that highlighted several of his dishes and one Michelin star. At the end of his tenure at Carbone, Tran received the opportunity to move to Italy where he would continue to learn about classic Italian culinary techniques and ingredients at La Dogana in Capezzano Pianore. Upon returning home, Chef Mario called upon Tran to once again team up on a new project called Santina.